The F3 Plus is the world's first smartphone that has Dual selfie cameras. There is a dedicated 120° wide angle seflie camera specially for group selfies. The other is 16MP selfie camera with Beautify 4.0. Wth F/ 1.7 Aperture of the lense, you get more clarity in your selfies. There is another unique feature of VOOC Flash Charge, in this smartphone. This function, keeps your favourite apps always ready & also keeps them from consuming power when not in use. This phone also features a Dual PDAF Focussing for faster focus & vividly clear images. An Ultra-fine six-string antenna line design of this smartphone operates on 6 frequency ranges, with which you can always stay connected. 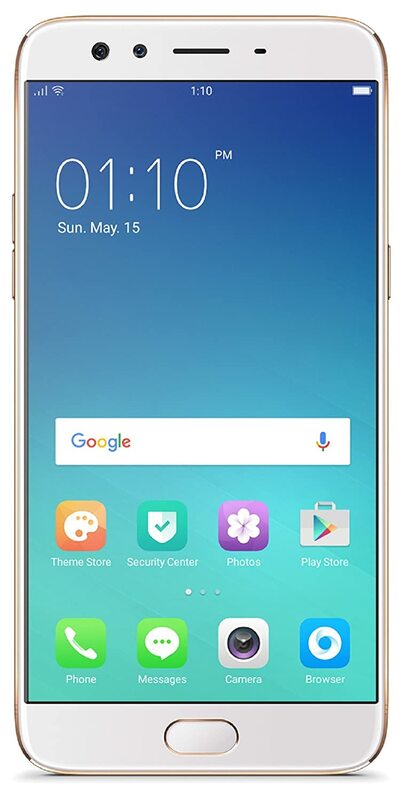 To Recieve updates and possible rewards for Oppo F3 Plus (Gold) please sign in. To Recieve updates and possible rewards for Mobile & Smartphone please sign in.